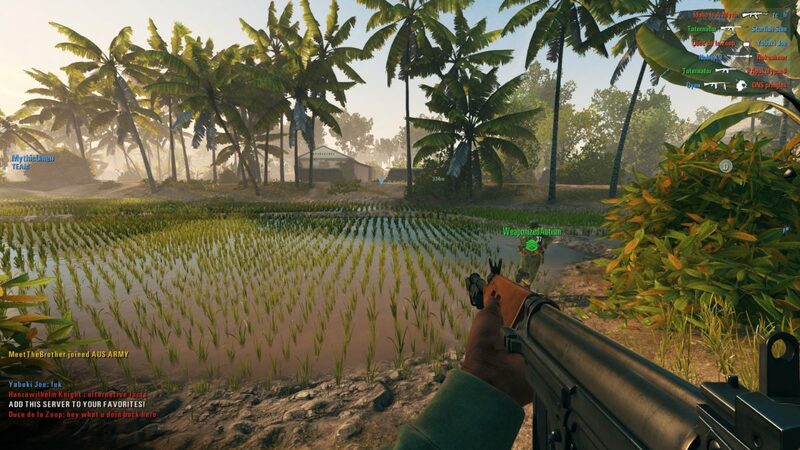 A few weeks back, I covered the release of the new Campaign Mode for Tripwire Interactive and Antimatter Games’ brutally realistic multiplayer tactical shooter, Rising Storm 2: Vietnam. The update was accompanied by a pretty deep discount, bringing the game down to about $8. As a rather casual player of the old Red Orchestra and earlier ArmA games that had always been interested in playing Rising Storm 2, the discount and major update was enough to convince me to finally check the game out. I’ve put just over 30 hours into Rising Storm 2 now and decided to give you guys my thoughts on this often overlooked war shooter, and perhaps convince you to give it a try for yourself. The first thing you need to know before starting your tour of duty in Rising Storm 2 is that this game is brutal and unforgiving. There’s no medpacks, magic defibrillators, or regenerating health. Most rifle caliber rounds will kill you with one or two shots to the torso, and even nonlethal hits cause bleeding, requiring you to use a bandage before passing out and dying of blood loss. Getting shot in the leg or foot won’t kill you, but it will slow you down. 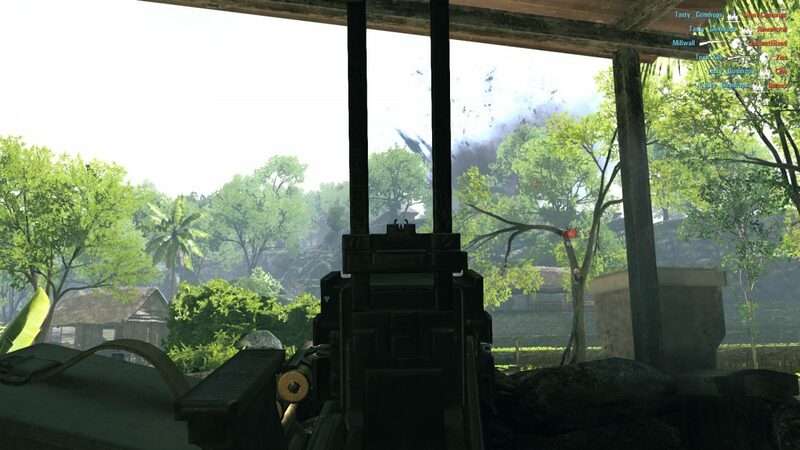 Situational awareness is much more important than in other shooters due to the lethality of weapons, friendly fire, and the ease at which enemy combatants can hide in rubble and the lush vegetation of the Vietnamese jungle. My point is that you are going to die a lot. Even after dozens of hours, you will keep dying a lot, especially if you have the misfortune of being on an unorganized team. There’s lots of little things you need to learn as you play, like adjusting your sights for longer range engagements, dropping a weapon to switch guns faster, or how you can toss your grenades over or underhand. These tricks are admittedly situational, but sometimes you’ll find them pretty useful. I personally feel the first big flaw in RS2 is the lack of a proper tutorial, especially for the Commander class. What passes for a tutorial are essentially embedded YouTube videos and a shooting range where you can test out the game’s rather impressive arsenal of period weapons. Rising Storm 2 features six playable nations that are divided into the overarching North and South factions. The South factions (US Army, USMC, ARVN, and Australian Army) have access to superior air power, with pilotable transport helicopters, Cobra attack helicopters, napalm strikes, scout planes, and Spooky gunships. Southern squad leaders also act as mobile spawn points for the rest of the members of their squad. This means that squad leaders should act a bit more conservatively when playing as a Southern faction and let their squad do more of the heavy lifting. The North (NLF and Viet Cong) instead rely more on stealth and guerrilla tactics to compensate for their less advanced weaponry. North Vietnamese commanders can use the Ho Chi Minh Trail ability to temporarily accelerate respawn rates, while the Ambush ability allows a commander to instantly spawn all players currently waiting to respawn on their current location. Instead of being mobile spawn points, North squad leaders can build tunnels anywhere on the map to allow their squad to spawn closer to the action. Each nation has their own selection of weapons too, obviously. The ARVN uses a mix of WWII surplus firearms like M1 Garands, BARs, M1919s, etc., alongside a handful of more modern weapons like the M16. The VC are perhaps the most unique faction since every one of their classes has access to some type of trap, be it Punji spikes, toe-popper mines, or tripwire grenades, but only have access to an outdated hodgepodge of cobbled-together firearms as their primary weapons. I personally wish there were more maps that featured the ARVN and Australians because I really like their selection of guns, but sadly most of the maps use the US military as the South faction. Not that that is a terrible thing, since then you get to use flamethrowers. There’s 8 core classes regardless of which faction or nation you pick, and each one plays a vital role in combat. The Grunt/Guerrilla is your standard infantrymen. They may not have the fanciest weapons or gear, but its what the majority of players on each team will be playing as during a match. The Sniper/Marksman and Machine Gunner do exactly what you’d expect, though machine guns play a slightly more important role in RS2 than your typical online shooter. 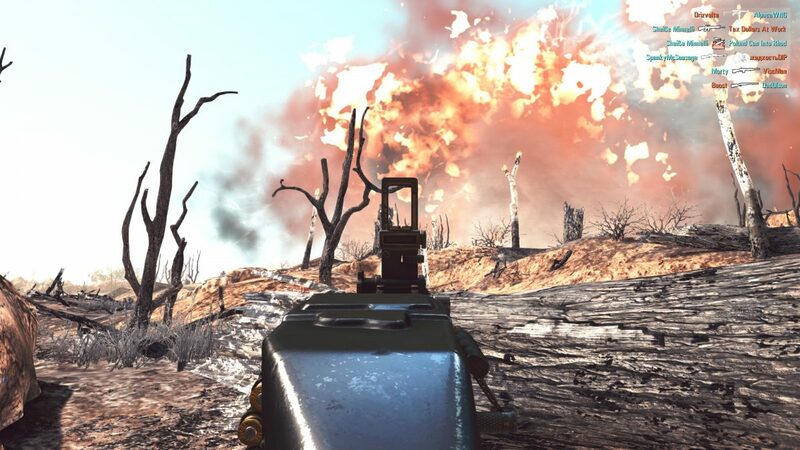 Suppression is a huge mechanic in the game, and once suppressed, your screen will start to shake and blur to the point that returning fire is all but impossible. The easiest way to suppress an enemy position is to spray it down with overwhelming firepower, making the Machine Gunner a vital asset. The Combat Engineer/Sapper is the explosives expert class. These guys normally pack mines or dynamite, and in the case of the US military, have access to the flamethrower. The Pointman/Scout are one of the less appreciated classes, but are important nonetheless. It’s this class’s job to be near the front because their ability to spot traps and mines, making them easier for the rest of the squad to avoid or disarm. They also tend to carry multiple smoke grenades, which is arguably one of the most important pieces of gear in the entire game. The next class is where the factions differ more significantly. The South gains access to the Grenadier, who carry the iconic M-79 grenade launcher. The most common round you’ll be shooting from this devastating piece of equipment are HE grenades, but they can also be loaded with buckshot and smoke grenades. The North instead get the RPG Trooper which, surprisingly enough, carries an RPG as their primary weapon. Besides being used to attack fortified positions, the RPG is the most reliable way to take down helicopters when the Anti-Air command ability is on cooldown, or being reserved for more important targets like Spooky gunships. Also, please remember that your RPG has backblast, so don’t fire it in enclosed areas near friendlies. The Radioman is the class that few players willingly choose to play, but it’s extremely important. The Radioman’s job is to follow around the Commander. When a Radioman is near the Commander, then the Commander is able to use his portable radio to coordinate with the team’s squad leaders to issue orders or direct fire support. This means that the Radioman usually doesn’t see much direct action, hence why its an unpopular class despite the vital role it plays. Finally, you have the Commander, the most important class on the battlefield if you want to actually win. The Commander issues orders to the squad leaders and can call in fire support and command abilities, including artillery, napalm strikes, scout planes, and more. To do so, however, the squad leaders will need to use their binoculars to mark coordinates so the Commander knows what area needs to be bombed into oblivion. If you want to play as a Commander or squad leader then you’ll need to make sure you have a mic, because coordination is extremely important for these roles. There’s two other classes, but they aren’t on every map and are exclusive to the Southern nations. These are the Transport and Combat Pilots, which you’ll need to pick if you want to actually pilot a transport helicopter or gunship. Transport helicopters require a bit more finesse to use than in Battlefield because you’ll actually need to scout out LZs and safely land your helicopter to unload your cargo of obscenity-screaming teenagers. No infinitely respawning parachutes that allow you to just jump out of a helicopter and land safely here. There is a degree of class customization as well. Each class usually has a few primary weapon options, like choosing between the M14 and M16 for a US Grunt. Some weapons have ammo options too. Shotguns can use either slugs or buckshot, and you can freely swap ammo types by pressing the C key. Others have magazine options, like how you can choose to bring 4 35-round box magazines or two 71-round drums with the PPSh-41. There’s also bayonets, adjustable stocks, and bipods that can be deployed to increase your melee capabilities, mobility, or stability when firing while prone or near a windowsill or sandbag. The game’s progression system is based around unlocking cosmetic items like different shirts, hats, facial hair, tattoos, etc. These also form the basis for the game’s DLC model, ensuring that gameplay relevant stuff always remains free. In terms of gameplay modes, there’s three options. Territories is the “main” mode, and divides the two teams into Attackers and Defenders. The Attackers must capture a series of sequential objectives within a time limit. Supremacy features multiple interconnected objectives that need to be captured and held to gather points. Breaking a link in the chain by capturing an objective can prevent the enemy from gathering points. Both modes also have reinforcement points that are depleted as players die, offering another potential victory condition. The third and most recent mode is the Campaign that I mentioned earlier. 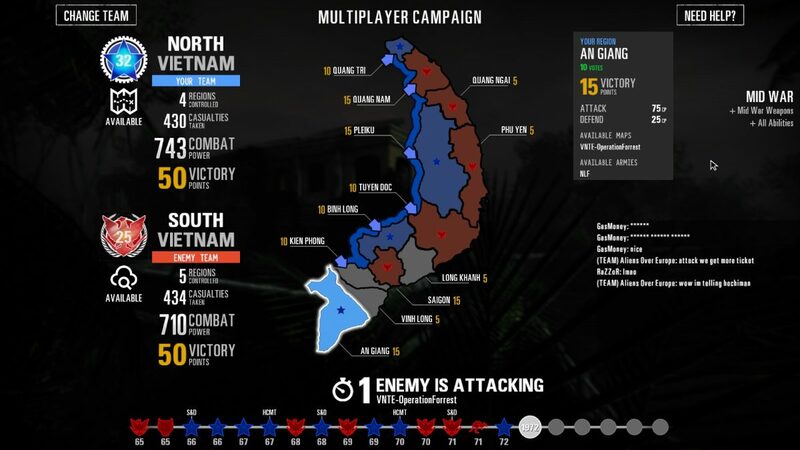 The Campaign mode is essentially 11 rounds (by default, there is a “long war” format on some servers) with a strategic map of Vietnam that both teams are fighting over. Set between 1965 and 1975, the overall goal is to gather the highest amount of Victory Points before the end of the war. Victory Points are gained by successfully attacking or defending regions. Combat Power is another resource that is gained based on casualties suffered, areas held, and several other factors. Combat Power is used to launch attacks on regions, and can be spent to activate special abilities at specific times during the campaign. As the campaign progresses, the rules and weapons available also change. Early War means no helicopters, limited command abilities, and no weapons that were introduced later, like the M16 and AK-47. As another example, Late War means that the Southern forces can no longer choose to play as the Australian or American armies, and they lose access to attack helicopters to represent the US and its allies gradually pulling out of the conflict. While the campaign is really cool, it perfectly highlights one of Rising Storm 2‘s other glaring flaws: the lack of proper team auto-balancing. This can very quickly create a snowball effect where a losing team just keeps losing as people drop out of the campaign. A full campaign can take upwards of six hours or more depending on how long the teams can draw out each round, and no one wants to stick around that long if they are stuck on a mediocre and uncoordinated team. Being outnumbered is equally irritating in normal, non-Campaign servers as well, as you just have to hope more people join to balance things out naturally. There’s certainly lots of other little annoyances too. Sometimes you’ll find yourself getting stuck on random bits of rubble, especially when crouched or prone. Some maps go a bit overboard with the bloom effects, so be prepared to go into your settings to turn down the brightness. Napalm can be really inconsistent with its hitboxes, especially since it lingers a little on the ground after the initial strike. I’ve had times where I was completely surrounded by flames and survived, while other times there wasn’t any visible fire around me and I still died. Since the game uses Unreal Engine there’s some amusing quirks in regards to the destruction engine. Or rather, the lack thereof. Apparently straw and bamboo huts don’t stop bullets, but they are sturdy as a fortress when it comes to sheltering you from artillery and airstrikes. The vaulting system is finicky as well. You can jump over waist-high obstacles or through windows with a button prompt, but sometimes you need to be in a very specific place to get the prompt to appear. Other times you’ll encounter obstacles that look like you should be able to vault over them, but can’t. There’s a lot of maps with some pretty questionable design decisions. Some feel like they were designed with one of the game modes in mind without much thought given to how well it plays in the other. An Lao Valley feels fine in Supremacy, but the second set of objectives has been a nightmare every time I’ve been on the attacking team in Territories because it involves assaulting downhill while the defenders have clear fields of fire without much cover for the attackers. There’s actually quite a few maps that involve attacking up or down hills that don’t have a lot of decent cover for one side or the other. Granted, it could have also just been that my team was pretty unorganized. 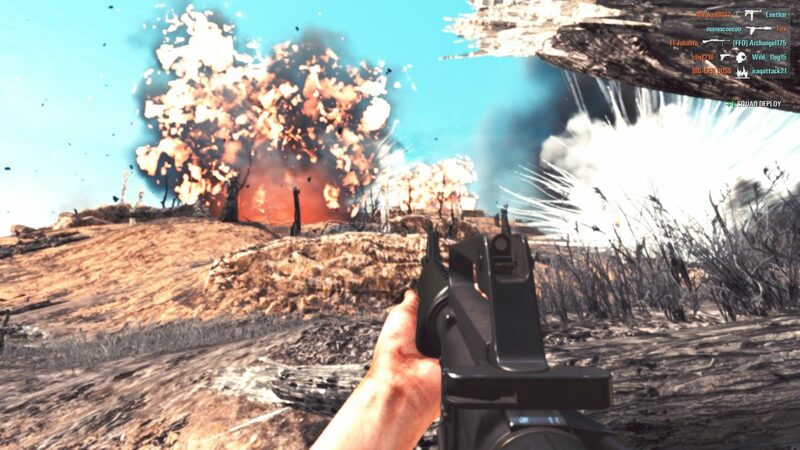 Rising Storm 2 is one of those online games where a bad team can be a truly miserable experience that either ends before it’s even really begun, or devolves into a meatgrinder where no real progress is made until the reinforcement points finally tick down to zero. The player base is a little on the small side, but not so small that you’ll have trouble finding a full server. The game typically pulls in somewhere around 2000 players a day still, and there’s about 6 or 7 severs I typically rotate between. The smaller player base has also resulted in a more tight-knit community too. The new update and discount resulted in a lot of new players running around, with myself being one of them. The veterans were all pretty willing to help the new guys learn the ropes, and were fairly understanding when it came to screw ups. At least, that’s the experience I’ve had in the servers I’ve been playing on. As always when it comes to online communities, your mileage may vary. Unfortunately, most of the servers are American as far as I can tell, with a handful of EU servers still operating. If you are outside of those regions then you’ll likely have a difficult time finding a server with decent ping. Considering what convinced me to dip into the game was the massive (and free) Campaign update, then I think its also safe to say that you won’t have to worry about the developers dropping the game anytime soon either. In fact, there’s been several balance and bug patches since I started playing about two weeks back, right after the Campaign update. Tripwire and Antimatter are still actively developing the game and listening to feedback over a year after release, so as of right now it looks like RS2 still has a good bit of life left in it. When you do get on a solid team where everyone is properly coordinating with the squad leaders and Commander, Rising Storm 2 is a downright awesome and highly immersive experience that comes the closest you’d ever want to be to a real battle. The sound assets are fantastic, especially when using a high-end headset. 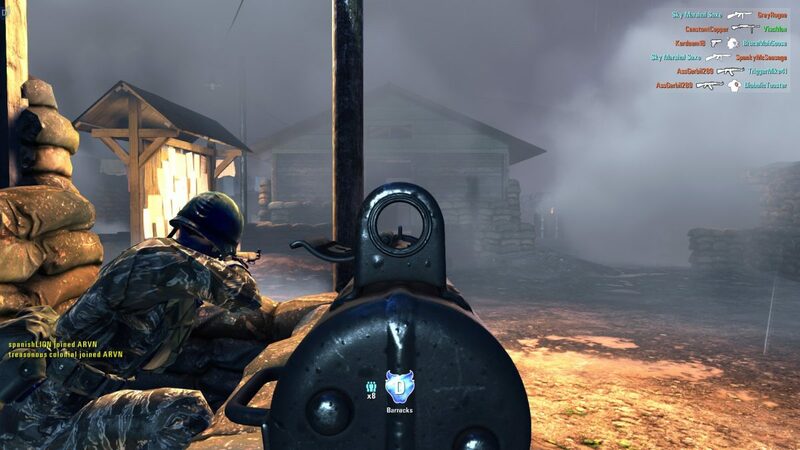 You can hear the individual bullets whiz past your head, and you’ll learn to fear the distinctive sounds of an incoming napalm strike or minigun fire from a Spooky lead storm. The weapons and their animations are equally as well-crafted and immersive. 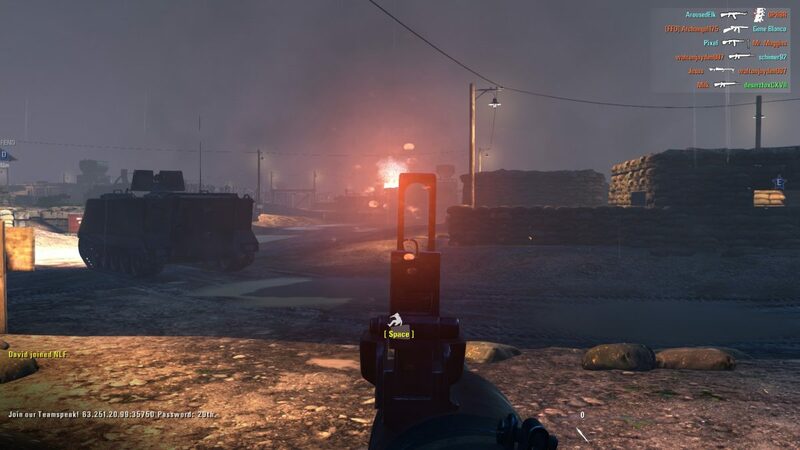 As with the Red Orchestra games, you can tell that Antimatter and Tripwire have put a lot of effort into making the guns look, feel, and handle as close as possible to their real-life counterparts. There’s lots of nice little touches, like how machine guns will vent heat and smoke after sustained fire. The level of authenticity is impressive considering the game wasn’t made on a AAA budget. For those of you interested in performance, you can check out the options menu below. 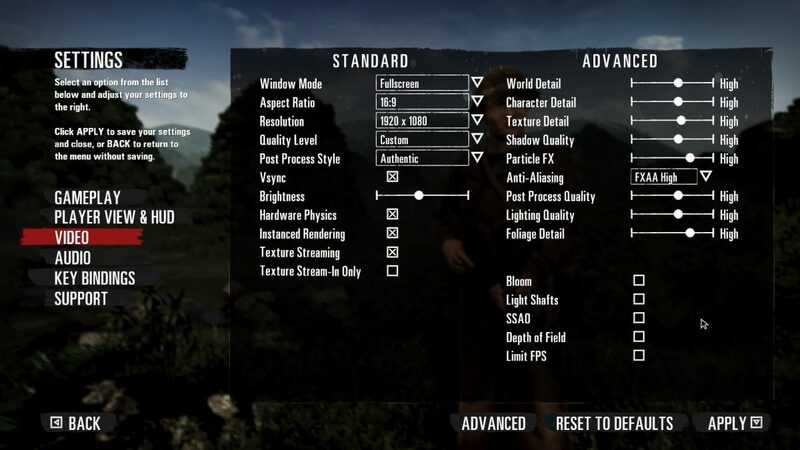 These are the settings I’ve been using on my machine (i7-8700, 16GB, 1070, with a 60hz 1080p Asus monitor) and the game stays at a pretty consistent 60 when using the FPS lock feature. The lowest I’ve seen it drop is to 55 during an artillery strike on one of the newer maps, but such drops are exceptionally rare in my 30 hours of play thus far. 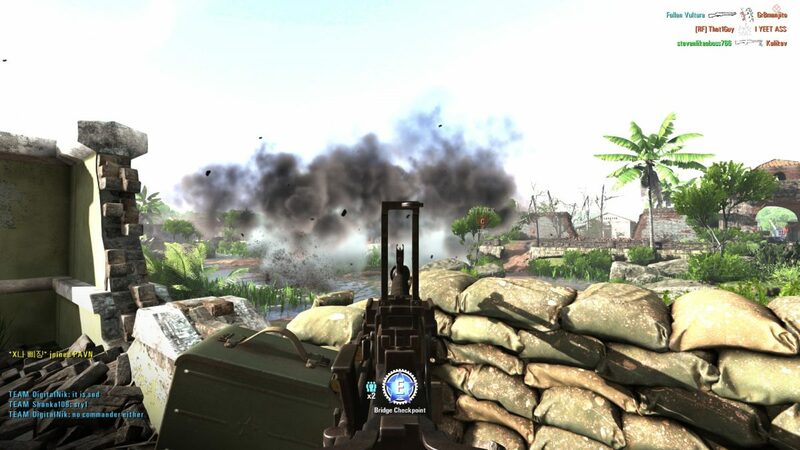 I’ve enjoyed my time with Rising Storm 2: Vietnam so far, and plan on continuing to play it for the foreseeable future. Its been a while since I’ve been hooked on a multiplayer military shooter, and if you are looking for a solid alternative to what the mainstream side of the industry has been churning out over the years, then I’d recommend giving the game a shot. 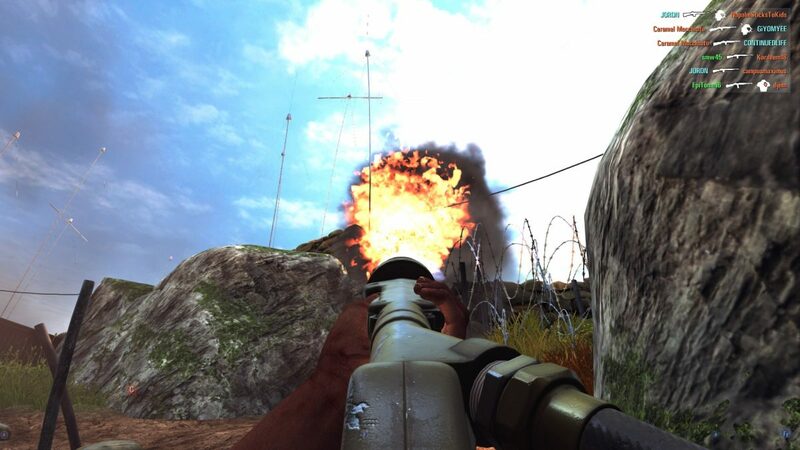 Rising Storm 2 has its share of flaws to overcome, but if you can endure the jankiness and brutal learning curve, then you’ll find a satisfying tactical military shooter that serves as the definitive Vietnam War experience currently available on PC, via Steam.